This recipe helps you make a delicious, classic quiche Lorraine, albeit with a low-carb, gluten-free buttery biscuit base. For an 8 inch (20 cm) quiche or pastry dish, you’ll be first making the pastry and moulding it into the dish (rather than rolling it), before pre-baking it for about 10-12 minutes. You can use 100% almond flour if preferred but I find that the mixture of coconut flour (which is usually also cheaper) adds texture, taste and reduces the omega-6 hit a little. Note that for a 10 inch (25 cm) dish, you will need to increase the quantities by one half. First mix the 'flour' mix, salt, pepper and baking powder together well with the molten butter before adding in the lightly beaten eggs (by hand or use an electric mixer). Then put the pastry mixture into your buttered cooking dish or quiche form and gently work it out to the edges before forming solid sides. 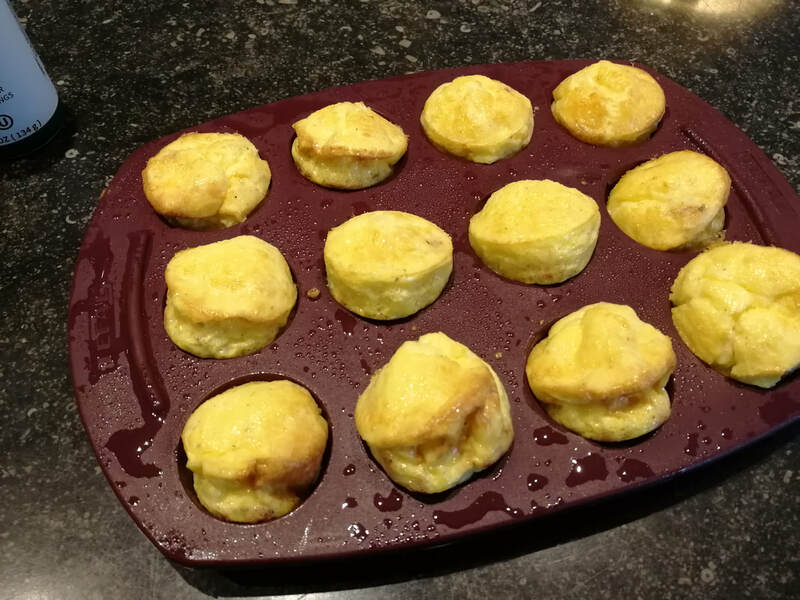 Use a knife to even out the top of the pastry at the edges before placing in a 180C oven for 12-15 minutes… your goal is to firm it up and cook the eggs in the pastry, forming a famously buttery-biscuit-base. Don’t let it get too brown at the edges. While the quiche pastry is cooking, lightly fry up the chopped bacon or lardons until cooked through but not crispy. Whisk together the cream, milk and eggs with the salt and pepper… go easy on the salt depending on how salty your bacon is. Spread the bacon bits evenly over the base of the quiche together with the grated cheese. Then pour the egg mixture over the other ingredients. Bake in the pre-heated oven for 25-30 minutes. If you want to be sure it’s cooked through, insert a knife into the creamy mixture and when it comes out clean, your quiche is ready. Best to let it cool for a few minutes before serving and… try not to eat it allat once: your quiche will also taste great cold or re-heated. Note: Coconut has twice as many carbohydrates but less Omega-6 fat than almond flour; mind you, it still has less than one-third the amount of carbs you'll find in regular flour and it's gluten-free… all things are relative. 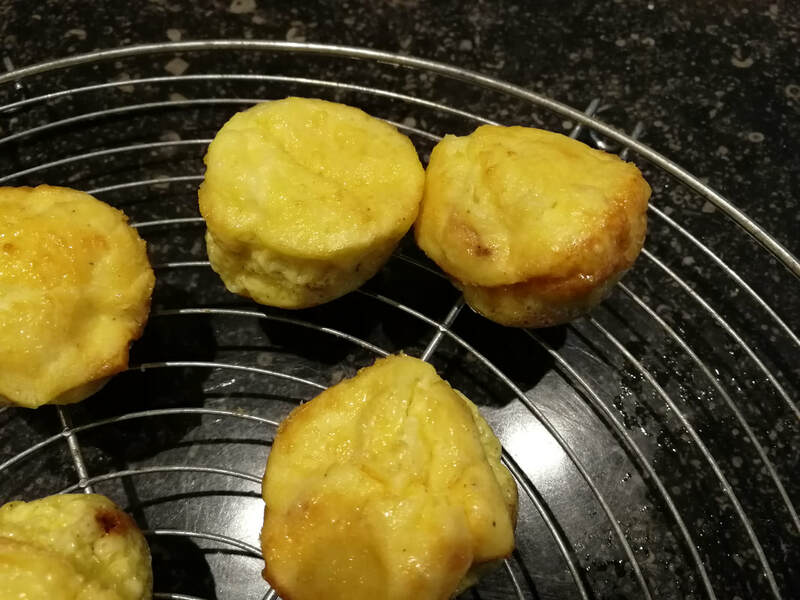 A great way to enjoy these as an aperitif or light snack is to use a mini-muffin tin and bake bite-size quiches - with no pastry. Spray well with olive oil or avocado so they don't stick and then bake for just 15 minutes. They'll puff up nicely but even when colder (and flatter) they're a delicious to-go snack. The rise - and fall, but they're still delicious cold.